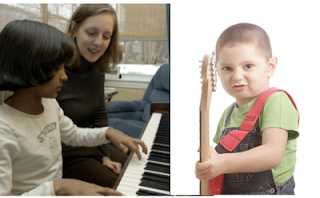 Continuing on from the previous blog Are piano students just better students? the second lesson I gained from the piano teacher experience was to observe and question every situation especially where someone is getting results. In this case the answer was not obvious at first but I realised the power and influence of the teacher is often seriously underestimated. Even by teachers. In my early years of teaching I would have said that teachers play only a small role in the success of their students. My belief at the time was good students were naturally motivated to learn and practice guitar but the piano teacher experience soon made me realise this could not be true. I say this because I strongly believe a teacher is your best option when it comes to learning guitar but if your (or your child's) first experience with a teacher is not what you hoped for don't stop there. Keep looking and trying different teachers until you find the right teacher but do give each teacher a chance. At least 3 months unless it is obvious they are not the right teacher for you. When it comes to children successful teachers know that its a family affair. When I see teachers struggling to teach children the first question I ask is "Do you involve the parents?" and as you may have guessed the answer is usually no. Many parents of course don't get involved for various reasons. Perhaps they know nothing about guitar or music so prefer to keep out of it. It may be they have several children or work and their time is limited or they are not available to attend the lessons. Or it could be they feel their child is old enough to be responsible for their own lessons and learning. In each and every case an effective teacher will find a way to involve parents. Children are not permitted to drive, vote or watch certain kinds of movies for a very good reason. They are not yet ready. In fact a child's brain is not fully developed until their early 20's which explains why 18 and 19 year olds are the most likely to be involved in fatal car accidents. Its not so much they lack driving experience as they lack control over their emotions. The prefrontal cortex is the part of the brain that stops us from acting out irrationally and for late teens (mostly boys) driving fast and reckless is basically a lack of rational thinking. After all, if you have less than a few years of driving experience isn't this the time to drive slower and with more caution? If you want to see this in a more extreme example notice how a 2 year old will have a tantrum over the smallest trivial event. Controlling their emotions is very difficult at this age. Children need help from their parents and teachers. Some more than others and every situation is different.